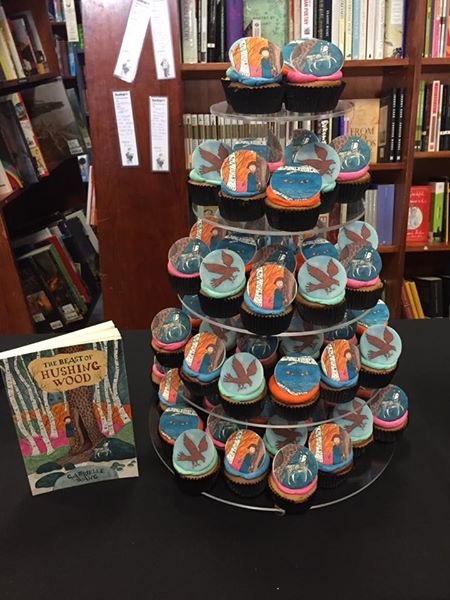 It was a very happy day on Sunday for the launch of The Beast of Hushing Wood. Thank you to everyone who came and to those who couldn’t make it but sent their well wishes, thank you also. The lovely Cath Crowley and myself. Look at these gorgeous cupcakes made by Jess Flint of Cake and Madness. I so love them! My daughter, Lei Lei sampling one. More food! I made fried wonton and there was a forest of cheesy biscuits. My lovely family, Lei, Steve and Ren who help edit all my books.